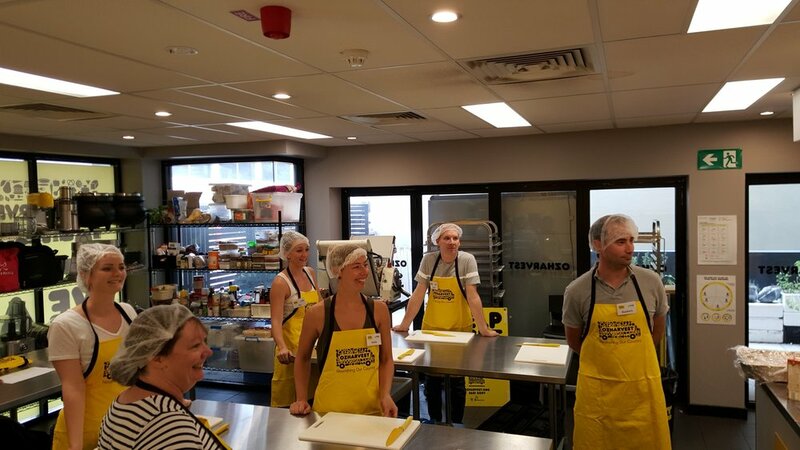 The CFMG Capital team recently ventured to a great local Brisbane charity organisation OzHarvest to getting ‘Cooking for a Cause’. This great initiative involved the team enjoying an afternoon preparing meals for Brisbane’s homeless and marginalised population. Combined as a cooking workshop and team bonding activity, the main focus was helping to feed people in need in the local community. OzHarvest representatives were on hand to host the team and share their story, educating CFMG Capital staff on food waste, food insecurity and the wonderful role OzHarvest plays in the community. As Australia’s leading food rescue organisation, collecting quality excess food from commercial outlets and delivering it directly to more than 1000 charities supporting people in need across the country – OzHarvest play an incredibly important role in the community. Founded in 2004 by Ronni Kahn, after noticing the huge volume of good food going to waste from the hospitality industry, she decided there had to be a better way. OzHarvest now operates nationally, rescuing over 100 tonnes of food each week from over 3,000 food donors including supermarkets, hotels, airports, wholesalers, farmers, corporate events, catering companies, shopping centres, delis, cafes, restaurants, film and TV shoots and boardrooms. Education is crucial to their business to help enable positive change for vulnerable people. Check out OzHarvest’s education programs, NEST and Nourish. Eliminating hunger and food waste through the redistribution of quality surplus food underpins everything we do. Our framework for food rescue now operates from eight cities and through regional communities across Australia, enabling OzHarvest to save millions of kilos of good food from landfill. Education about healthy eating, nutrition, preventing food waste and sustainability is central to our purpose, along with protecting and improving the environment through our actions. Our education programs are designed to increase community connectedness, improve self-worth and confidence and deliver the important food waste and sustainability message. Community engagement is the heartbeat of OzHarvest and continues to grow every day through our devoted team of like-minded partners and our ever growing ‘yellow army’ of volunteers. There’s no better way to experience how we nourish our country than rolling up your sleeves and getting involved. OzHarvest is constantly looking for new ways and innovative solutions to combat food waste and hunger and use technology to mobilise everyday Australians to take meaningful action. We are proud of the unique for-impact, OzHarvest food rescue model which is being introduced to other countries across the globe. As of the 23rd May, 2017 OzHarvest Brisbane have collected 2486 tonnes of food from donors all over Brisbane, and delivered them to over 100 charities. This equates to 7.5 million meals. OzHarvest Queensland Manager Amy Cobb is thrilled about achieving this milestone. “We are just so excited about reaching 7.5 million meals. Our team have been working extremely hard, especially over the last couple of weeks. We have had the CEO Cook Off, fundraising events in Cairns with 10,000 people in attendance, as well as five trucks on the road. It’s all happening right now,” she said. The seventh millionth meal was delivered by driver Sam Wilson to A Touch of Compassion charity. 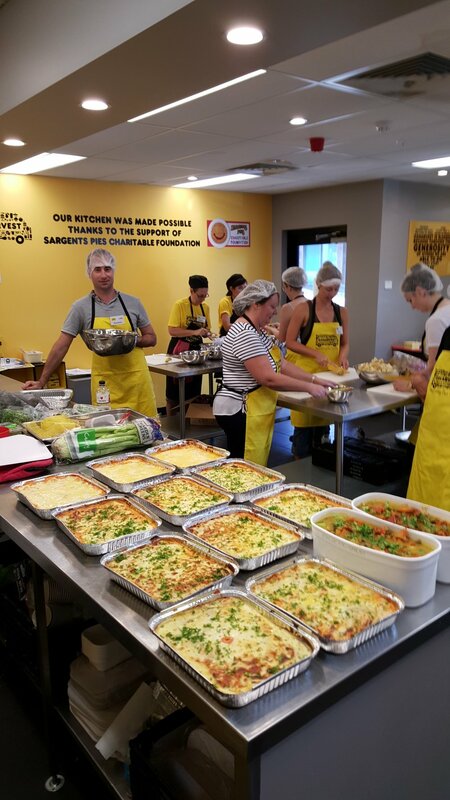 A Touch of Compassion is an organisation founded by Chris and Angela Chapman, who take the food provided by OzHarvest, and put on free community dinners every Sunday in Forest Lake. OzHarvest relies on donations to keep their wheels moving, to support this worthy cause visit www.ozharvest.org. Every $1 donated allows OzHarvest to deliver the equivalent of two nutritious meals to people in need.